Cheesy, fries, drink…all for $10.95. AWESOME! 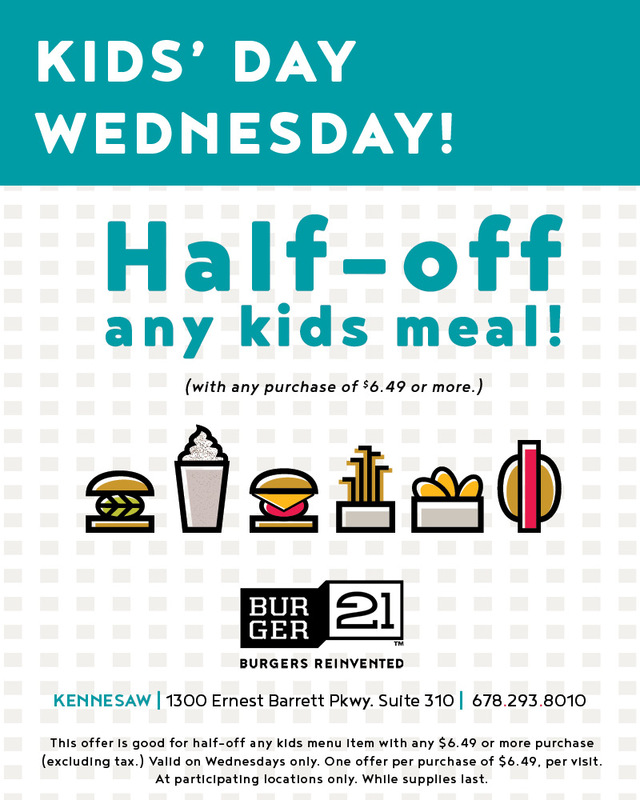 Treat the kiddos on Wednesdays at B21! 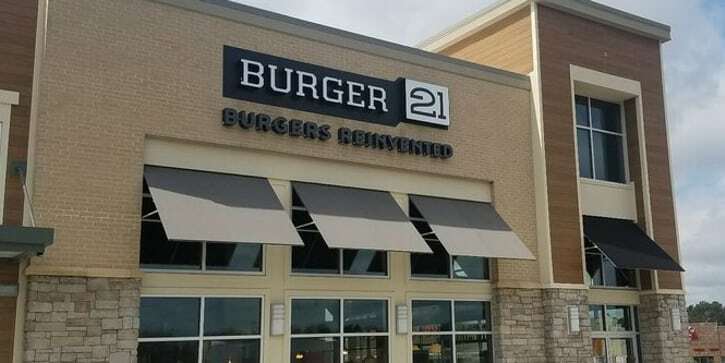 Burger 21 Kennesaw Marketplace will be closed Sunday, April 21st for Easter Sunday. Happy Spring!